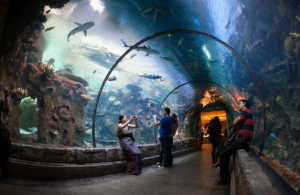 Ohio is home to the Great Lakes Science Center and the Roebling Suspension Bridge, but there’s more to this state than just great attractions. No matter when you make it here, Ohio has a lot to offer and January is no exception. Whether you want to enjoy nature or spend your time surrounded by luxury, Ohio has something for everybody during the first month of the year. The second Saturday of January, country and bluegrass lovers can make their way to Paxton Theater in Bainbridge to be part of the oldest music festival in the state. “No alcohol, no smoking, no drugs” is a commonly used slogan to promote this family-friendly festival, which last three hours starting at 7 p.m. The show does attract a mostly older crowd, but high-schoolers sometimes drop by as well, usually in groups, to enjoy the performances and the guitar solos. Every year between January 16 and 25, boat lovers meet up in Cleveland for the country’s largest indoor boat festival, the Cleveland Boat and Waterfront Lifestyle Expo. Held at the Cleveland International Exposition (I-X) Center, it features more than 1,000 boats, new and used, most of which are for sale. There are also models of waterfront houses, educational shows for kids, boat parts and accessories, and a nautical flea market. There are also sailing tours, sunset cruises and the opportunity to win your own boat. A large indoor amusement park is also housed in the I-X Center, making it a great destination for the whole family. 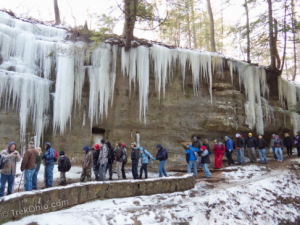 Hocking Hills State Park is home to the Annual Winter Hike that has been a tradition for more than 60 years. What started as a 60-hiker walk on January 17, 1965, has turned into a major event that attracted more than 5,000 hikers in 2009. While pet and kid-friendly, this hike is more than 5 miles long, so skittish dogs and kids younger than 8 may have a hard time on the wintery roads. Patches of snow, rugged hillsides and caves are all part of the hike, and those who finish are rewarded with steamy bean soup and sassafras tea. Previous Have You Tried The Limo Rental Service Yet?